This ultra-thin tempered glass full cover screen protector for the Nokia 7.1 from Olixar with black front offers toughness, high visibility and sensitivity all in one package. This ingenious solution to protecting your Nokia 7.1's screen involves a 0.3mm thick tempered glass protector that covers even the edges of the curved screen. The underside of the screen protector sits flat on the screen and follows the contours of your phone's screen perfectly. This covers the entire screen and offers complete protection. No more compromising by leaving the curved edges exposed and this also ensures no dirt will get in - so no more "halo effect". The Olixar Nokia 7.1 Tempered Glass Screen Protector won't diminish the sharpness or brightness of your phones display. Despite offering great screen protection for your Nokia 7.1, the glass is only 0.33mm thick. This means it only adds an almost imperceptible amount of extra thickness to your phone, so you can be sure it is safe from harm while looking as good as new. You can also be certain that your screen will be as touch sensitive as ever. 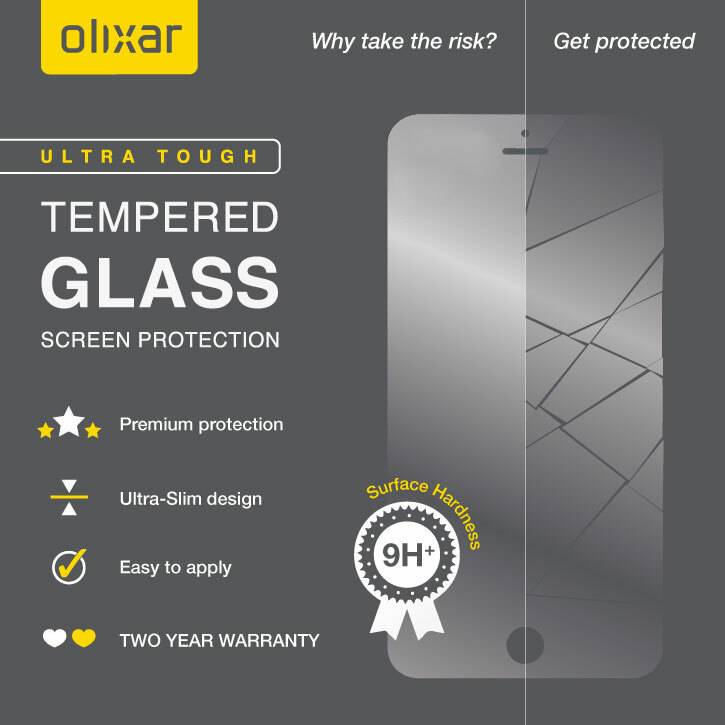 Designed specifically for the Nokia 7.1, the Olixar tempered glass screen protector offers a perfect fit for your device.